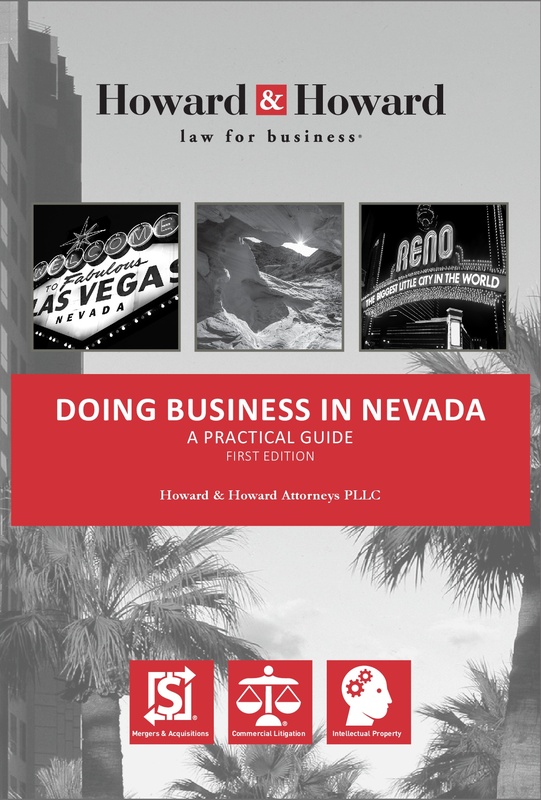 Howard & Howard published its comprehensive guide to doing business in Nevada recently. This impressive volume should be on the shelf of every business owner as a handy resource to answer your questions about starting and operating a Nevada business from soup to nuts. The Table of Contents below shows the breadth of the coverage. The book is well worth the $25.00 list price, but if you come to the Howard & Howard Las Vegas office and mention this blog, Jay Young will give you a free copy. Get yours today!